Earlier this month I traveled to Detroit to attend SphinxCon – the 4th annual conference on diversity in the arts presented by The Sphinx Organization. This was my first experience attending this conference, and it was a good experience, and particularly relevant to the work my department has been intensely engaged in: we are now in the midst of launching the Nashville Symphony’s new diversity program Accelerando. Our very first auditions for Accelerando will be held on March 12. I returned to Nashville a week ago for a schedule turned upside down due to snowstorms, but many of my impressions from the weekend in Detroit have stayed with me, and I’ve tried to write down some of them here before the march of time goes on much longer and they recede into the background. I’ve never been to Detroit before: in February, it’s cold. My plane arrived a little after noon and I managed to navigate the Uber app on my phone well enough to finagle a ride to my hotel and check in with time to grab lunch before the conference began at 3 pm. 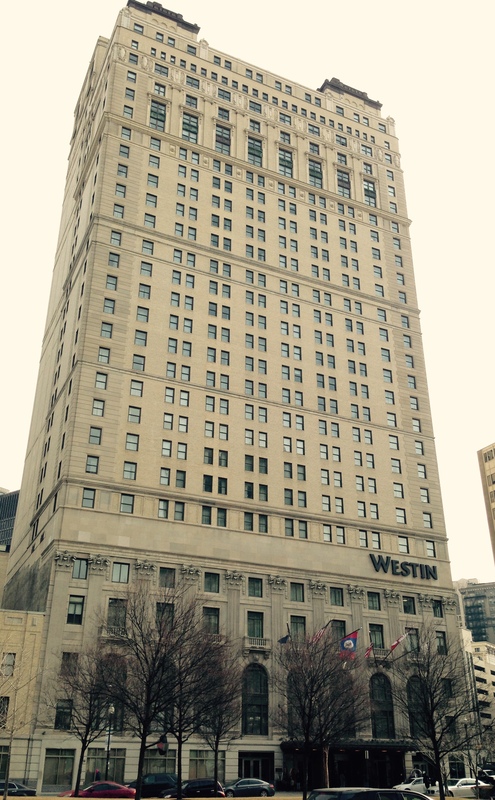 SphinxCon 2016 took place in the Westin Book Cadillac hotel, which was the tallest hotel in the world and the tallest building in Detroit when in opened in 1924. The historic hotel was renovated about ten years ago and reopened in 2008 – it’s an elegant and luxurious facility. 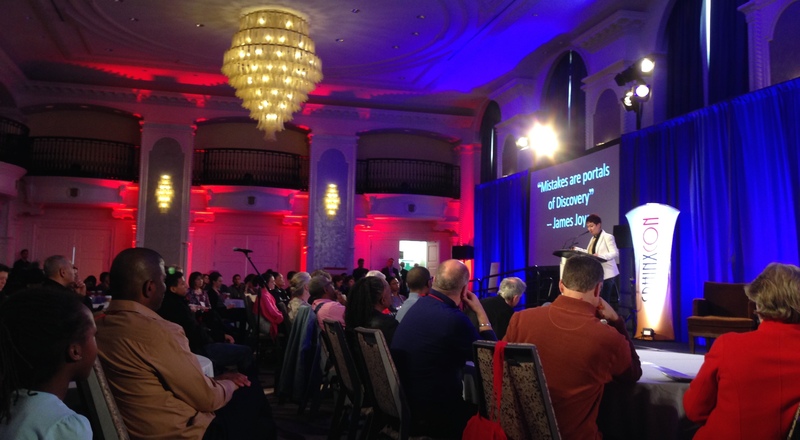 I met Aaron Dworkin in the elevator on the way down from my room on thttp://www.sphinxmusic.org/bio-nicholas-villalobos.htmlhe 15th floor to the opening session of SphinxCon 2016, which was held in a beautiful ballroom on the 4th floor. He was wearing blue jeans, cowboy boots, and a black leather blazer – which seems to be a sort of trademark look for him. Aaron was cordial and warm as I introduced myself, congratulated him on his success, and spoke with him briefly about why I was there. Then the elevator door opened and whoosh! the conference began. Aaron Dworkin founded The Sphinx Organization in 1996 – he was 25 years old – and the first Sphinx Competition was held in 1997. Over the last two decades the organization has grown to include a variety of efforts to promote ethnic diversity – specifically black and latino artists – in classical music particularly, but also in the arts generally. The Sphinx Organization’s activities in Detroit this weekend actually comprised two concurrent events: SphinxCon, and the annual competition, which has both a junior division (for artists under 18) and a senior division (for artists ages 18-26). 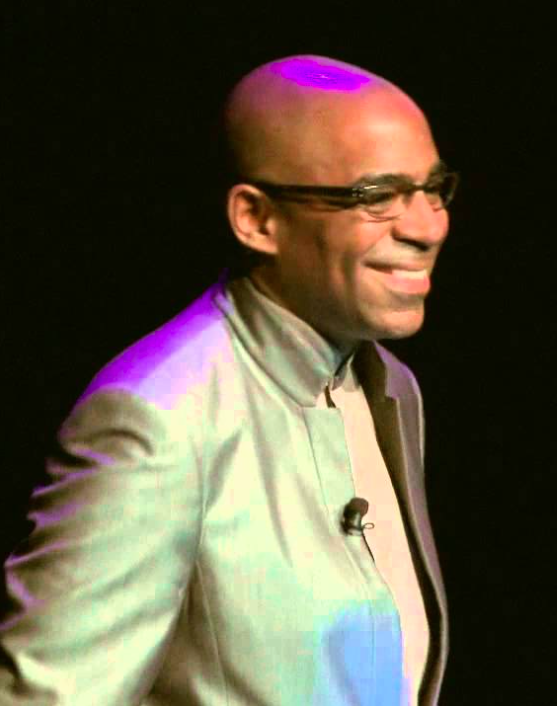 Aaron has had a celebrated career as musician, educator, arts advocate, MacArthur Fellow, President Obama’s first appointment to the National Council on the Arts, and more. In 2015 he was appointed Dean of the University of Michigan School of Music, Theatre & Dance, and turned over leadership of The Sphinx Organization to his wife Afa. Aaron spoke at length about his experience during his first semester as Dean in a Saturday afternoon session at SphinxCon “Dean Maverick: Bringing the Entrepreneurial Mindset to the Academic World”. He is one of only two African American Deans of major music schools or conservatories in the United States – the other is Toni-Marie Montgomery, Dean of the Bienen School of Music at Northwestern University. After welcoming remarks from Sphinx President & Artistic Director Afa Dworkin and some energetic music performed by the unusual duo of Cristina Pato, Galician Bagpipe and Nicholas Villalobos, Bass, the sessions began. Afa has been an active part of Sphinx since 1999, serving as Executive and Artistic Director until 2015 – Sphinx’s transition to Afa’s position as President appears to have been natural and seamless. There were four hour-long sessions on Friday, and eight on Saturday, and each night was followed by a reception. Short musical presentations were featured throughout the conference as well, to introduce new artists and also, it seemed, as a reminder not to lose sight of the art at the heart of Sphinx’s mission amidst all the discussion of policy, politics, and activism. So: a packed schedule! In the end I attended ten of the twelve sessions, missing a couple in order to have meetings with colleagues who work in other cities that I rarely get to see in person (or in some cases, had not met in person yet) – which of course, is one of the most important reasons to attend events like this, beyond listening and participating in the conference offerings. The Sphinx Organization filmed the entire conference and has posted it online – as it has done in previous years. You may view the entire video archive of SphinxCon 2016 here. An important question that came up several times over the course of the two days of SphinxCon 2016 was: Is the symphony orchestra “culturally specific”? I believe in the case of those attending the conference it was a rhetorical question, however it’s interesting – and disappointing – that few orchestras had representatives in attendance at the conference, or to my knowledge are attempting to address the issue of diversity in American orchestras in their own communities. If the orchestra as an institution is culturally specific – in other words, white European music for white Europeans or those of white European descent – then why have a conference (or an organization like Sphinx) that continues to examine the question of diversity in the orchestra as an institution? The message of Sphinx of course, is No: The symphony orchestra is not culturally specific. 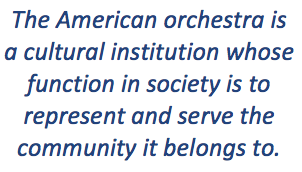 The American orchestra is a cultural institution whose function in society is to represent and serve the community it belongs to through artistic and educational programs. How this looks looks from community to community and from orchestra to orchestra will differ across the country, but in general the American populace is becoming increasingly more diverse every day, and it is becoming more and more difficult for orchestras that do not “look like the audiences they serve” – i.e. embrace diversity among their own musicians – to credibly represent their own communities. Afa told me that about 400 attended the conference, many from Detroit and Michigan but also many from around the country – Sphinx is increasingly hosting and spurring a dialogue that reaches beyond state and even national borders. There were many memorable sessions throughout the two days of the conference. A few that hit “close to home” for me included presentations by Mark Hanson, Executive Director & CEO of the Houston Symphony about their groundbreaking Community-Embedded Musician Program; and by Trey Devey, President of the Cincinnati Symphony Orchestra and Peter Landgren, Dean of Cincinnati College-Conservatory of Music, who spoke about their collaborative CSO/CCM Diversity Fellowship Program. I was particularly struck by a session led by Ayanna Hudson, director of Arts Education for the National Endowment for the Arts – a panel of public school arts administrators from Boston, Seattle, and Austin who spoke passionately about their work to ensure arts education for all (or as many as possible) of the students in their districts, and what they have accomplished. However, I was disappointed as I often am when listening to public school officials describe their successes that no mention was made of the quality of the curriculum presented to students, or the skills that students came away from these programs having mastered – only statistics reflecting the increase in percentages of students who had access to these programs who did not have them before. The conference ended with a rather controversial closing plenary from Mike Muse, CEO of Muse Recordings, and a celebratory reception. 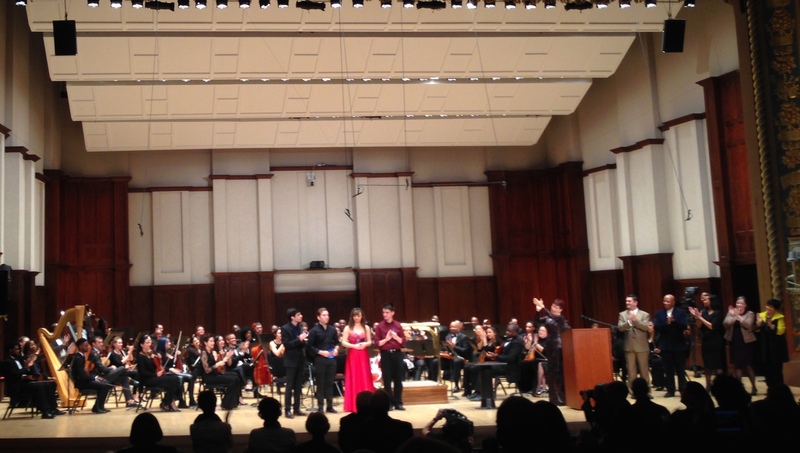 However, those of us fortunate enough to stay an extra day witnessed the finals of the Sphinx Competition, senior division, on Sunday afternoon at the Detroit Symphony‘s fabulous Max. M. Fisher Music Center. I was unprepared for the excellence of the closing performance, and very glad I had stayed the extra day. In the first half, the four finalists – two violinists and two cellists, all in their early- to mid- twenties – each performed a concerto movement: the violinists each played the first movement of the Sibelius concerto, and the cellists each played the last movement of the Elgar. Judges and audience deliberated during intermission (there was an audience award in addition to the final ranking by the judges) and awards were announced at the beginning of the second half. The prize money was substantial (Thomas Mesa, the first place winner, received $50,000) and the excitement was palpable. The concert closed with a performance of a movement from the Concerto for Two Guitars and Orchestra by Paulo Bellinati, performed by the Brasil Guitar Duo (who had presented at the conference on Saturday as well) and the Sphinx Symphony Orchestra. The entire concert was spectacular – from the performances by the Sphinx Symphony Orchestra and the finalist soloists, to the neo-baroque opulence of the astounding concert hall and its magnificent acoustics. As I rode to the airport to return home to Nashville, it was with a feeling of reassurance. Although sometimes I feel isolated in Music City as we launch the symphony’s new diversity program – which is sometimes not easy – SphinxCon provided a timely reminder of the importance of this work, and the acknowledgement that we are not alone in pursuing it. 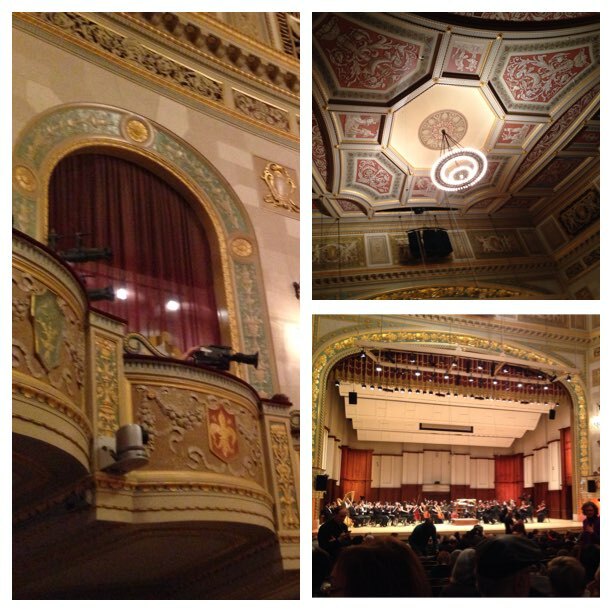 By walterbitner in Education, Music, Music Education, Nashville Symphony, Nashville Symphony Programs, Orchestral, Philosophy on February 17, 2016 .